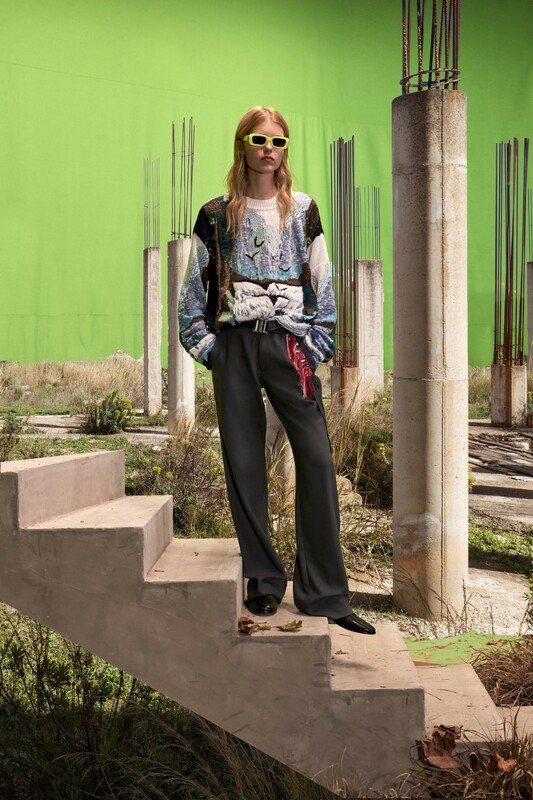 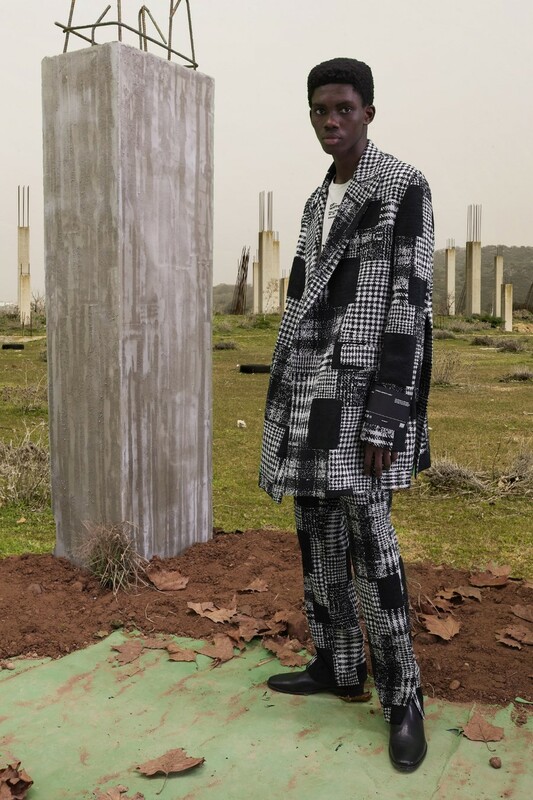 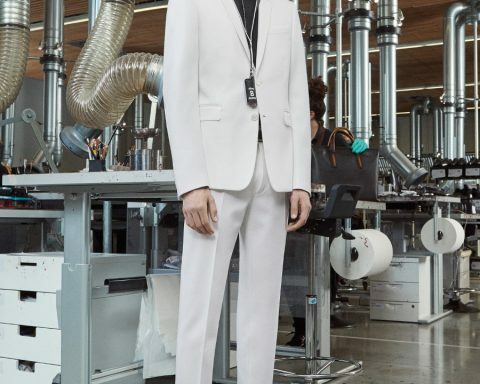 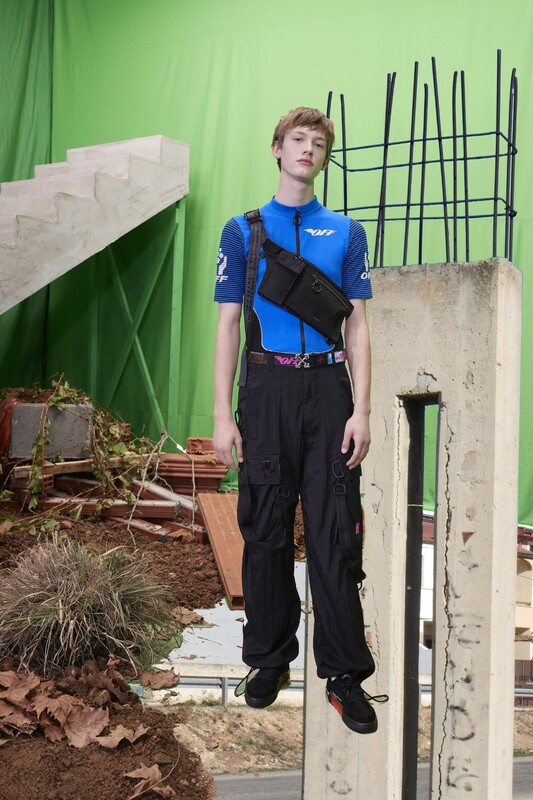 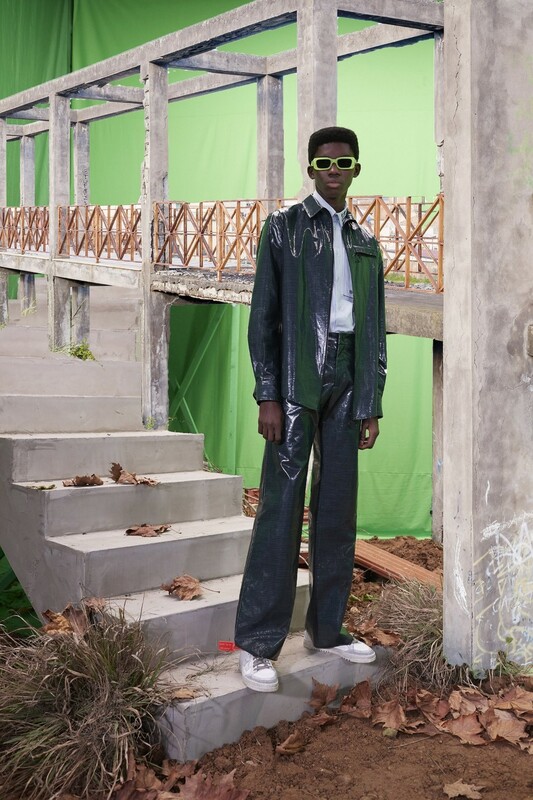 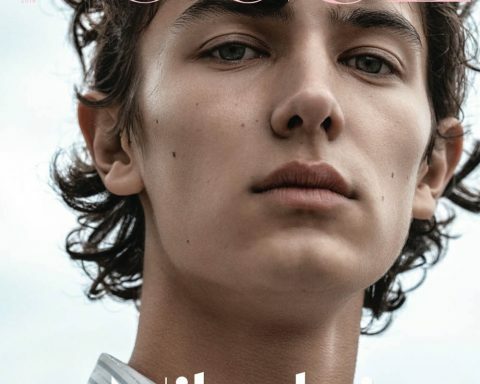 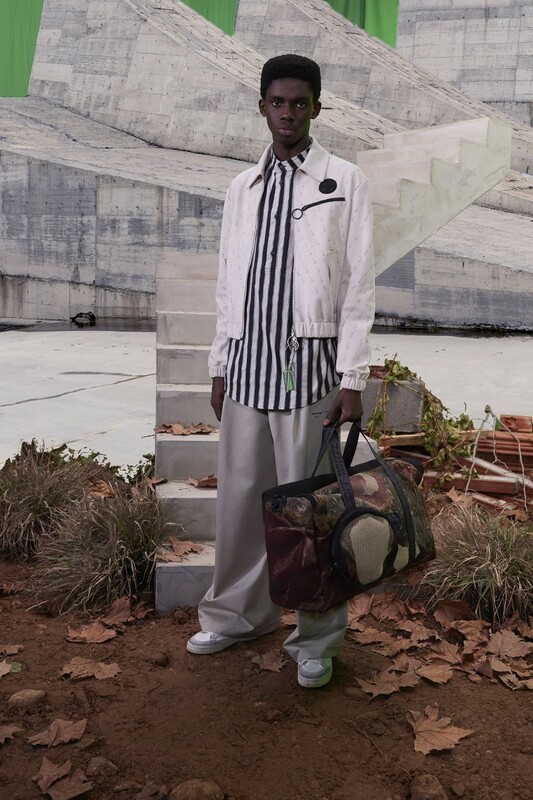 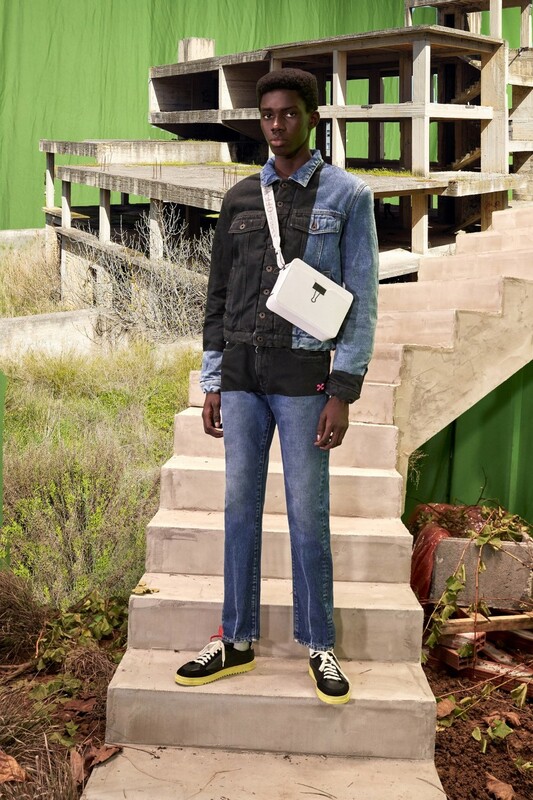 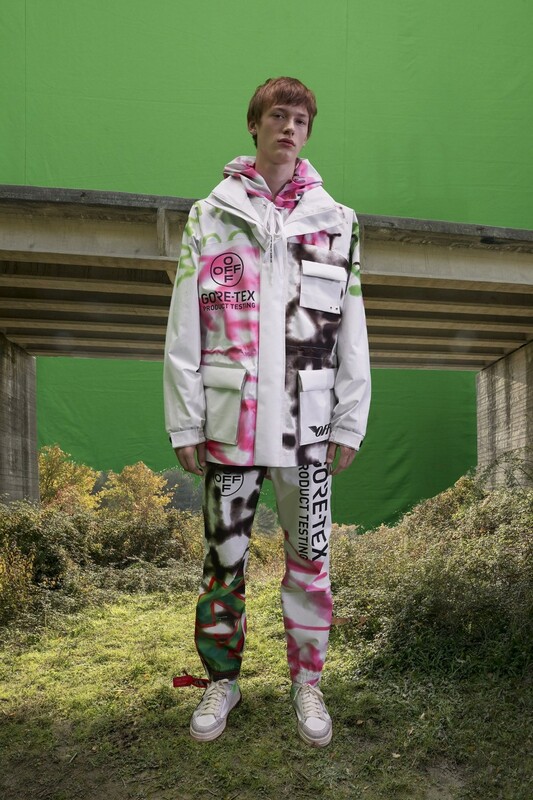 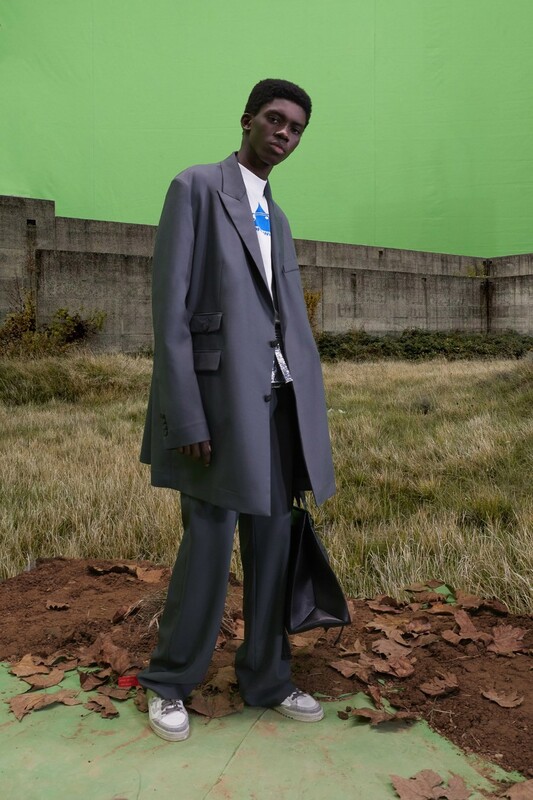 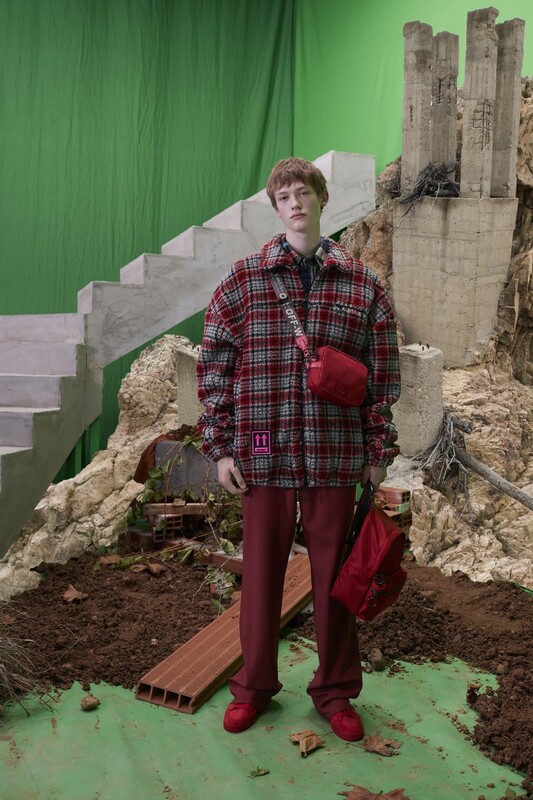 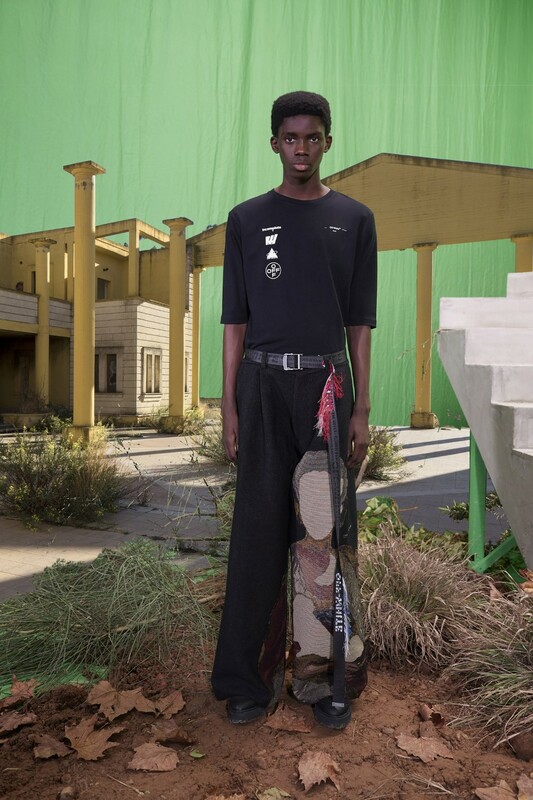 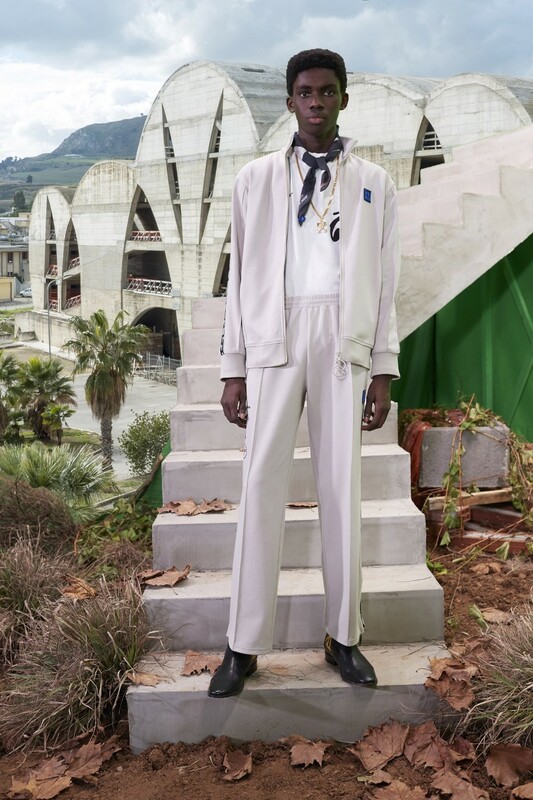 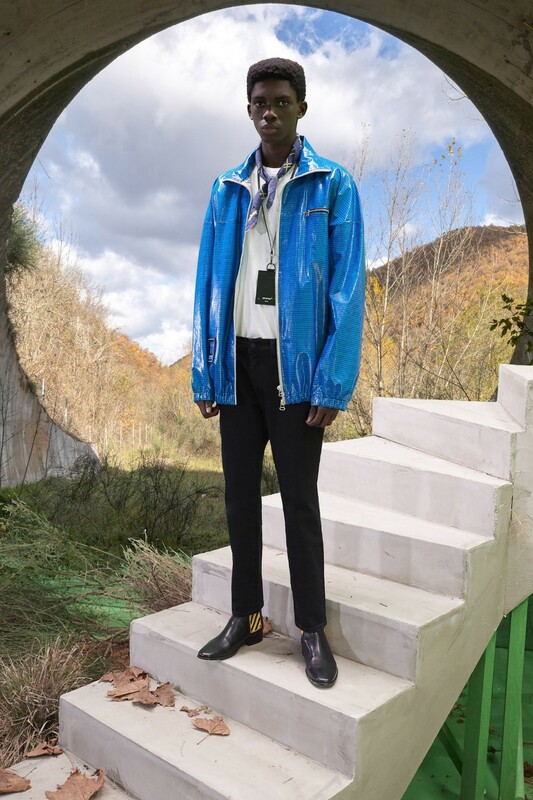 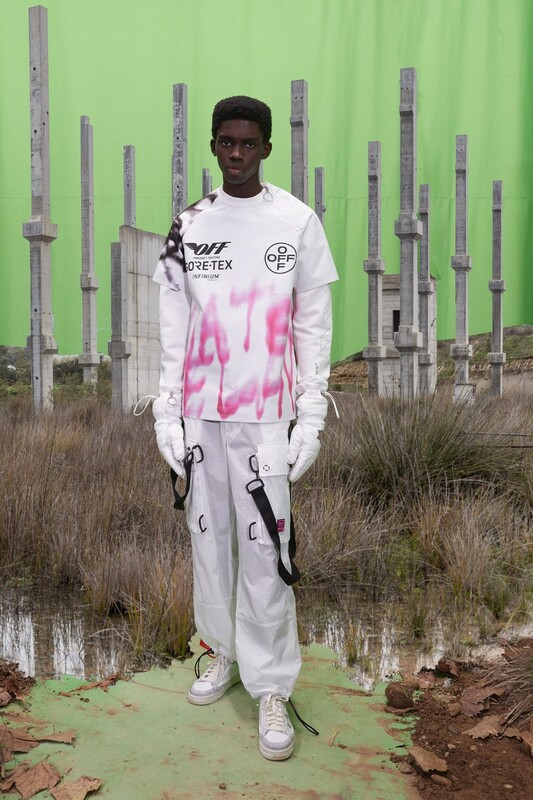 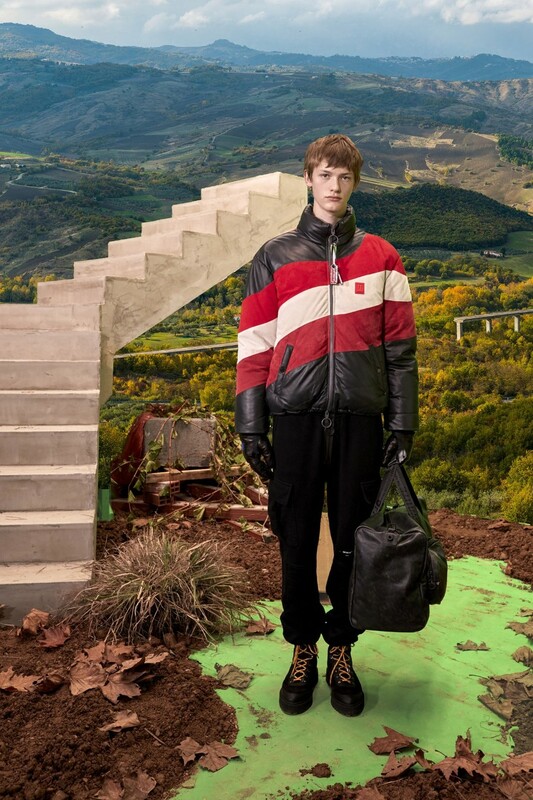 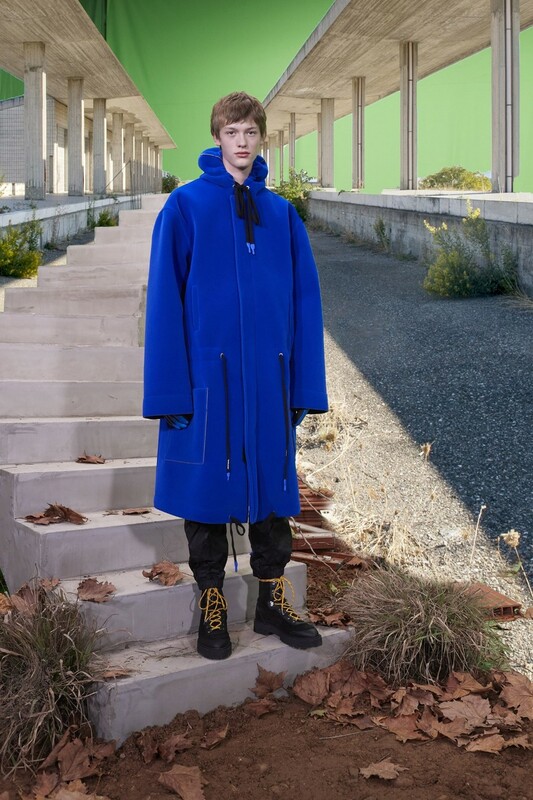 Virgil Abloh’s interest in the unfinished came across very clearly in the Off-White Men’s Pre-Fall 2019 collection. 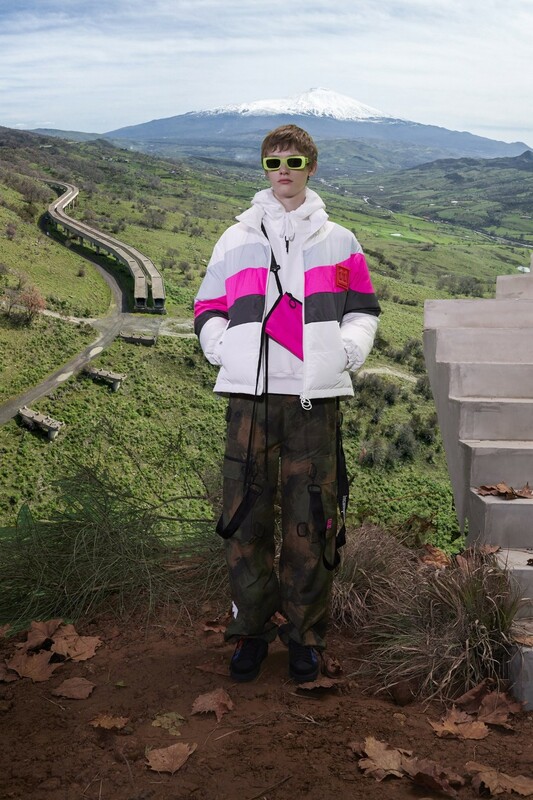 For this collection dubbed ‘’Incompiuto Pt. 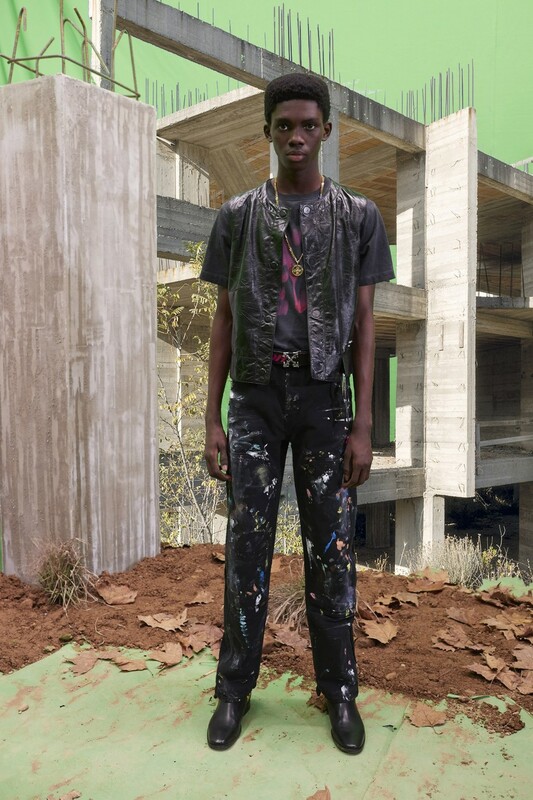 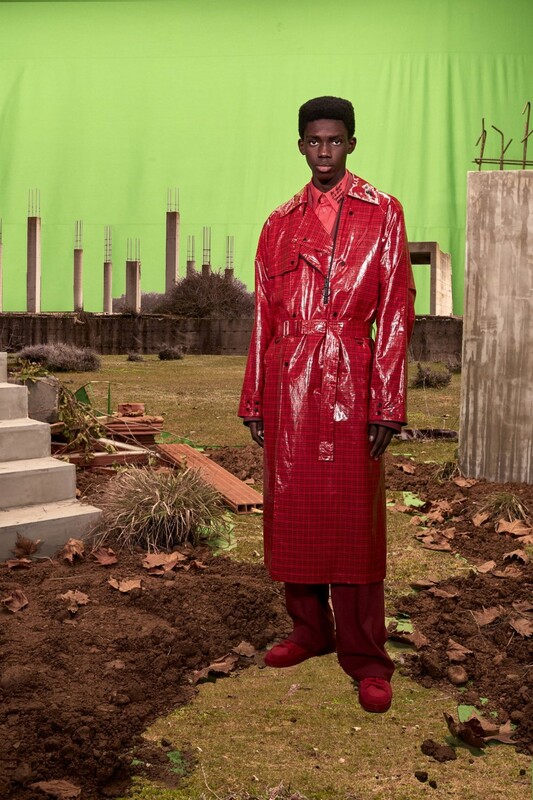 1’’, Abloh’s applied his passion for the incomplete to clothes themselves. 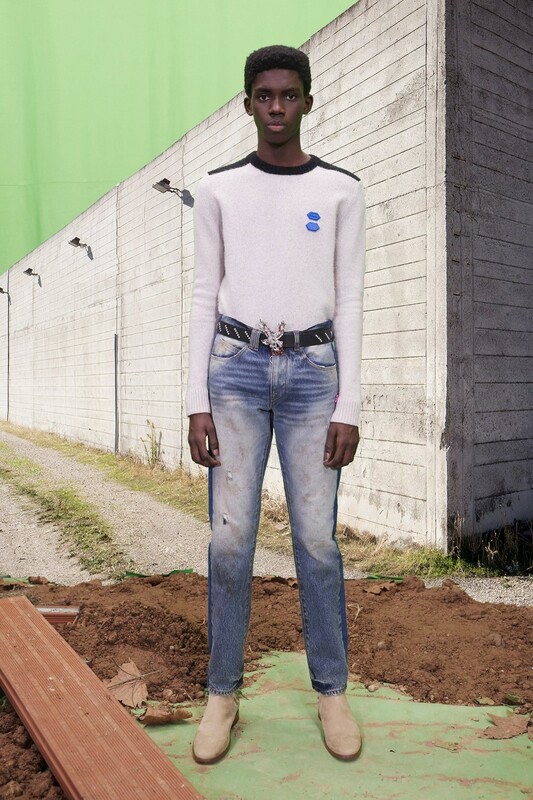 He drew inspiration from the artist collective Alterazioni Video, which has made a 10-year study of unfinished public works in Italy. 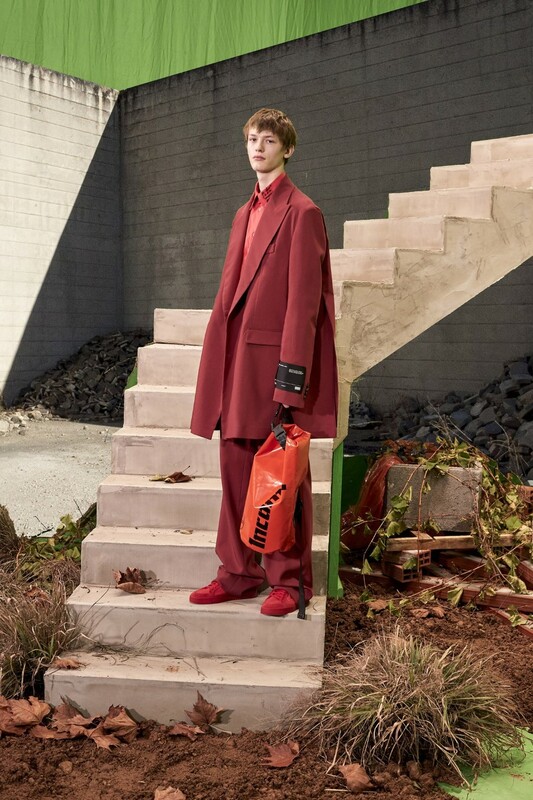 In this way, hems and seams were left raw. 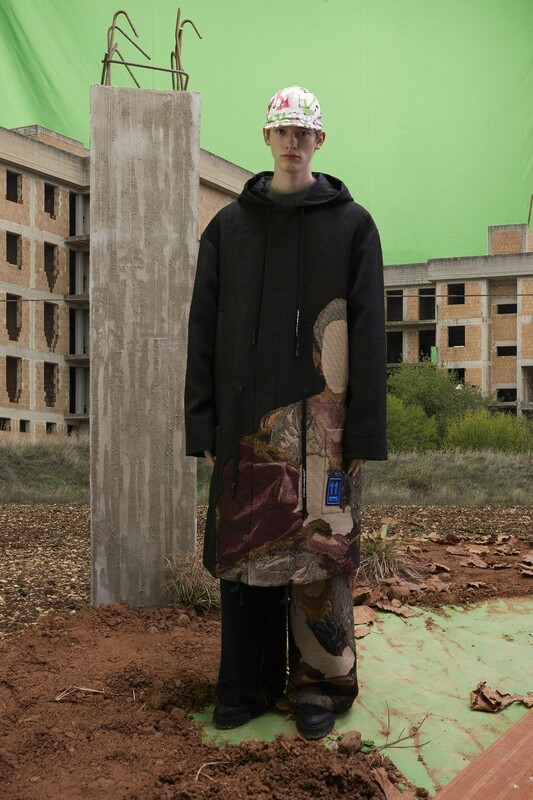 Half-done Renaissance paintings decorated a coat and trousers. 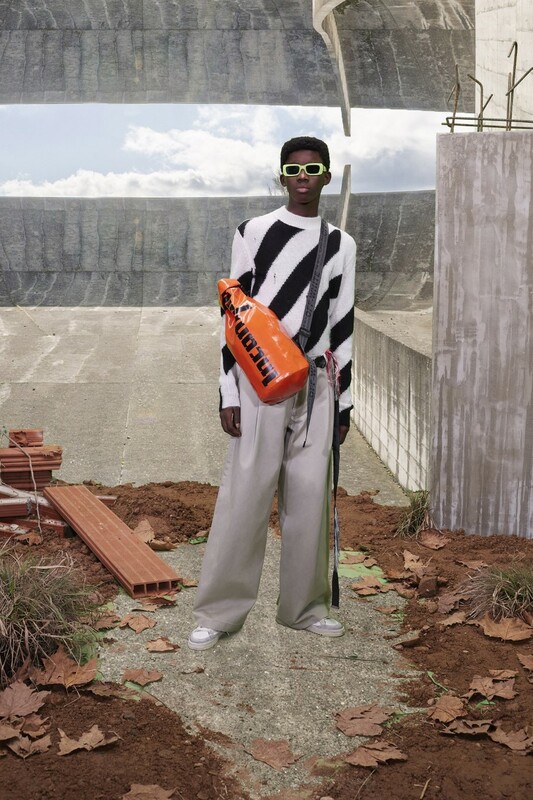 And the Italian term incompiuto was printed across the chest of logo tees and down the side of electric orange dry bags. 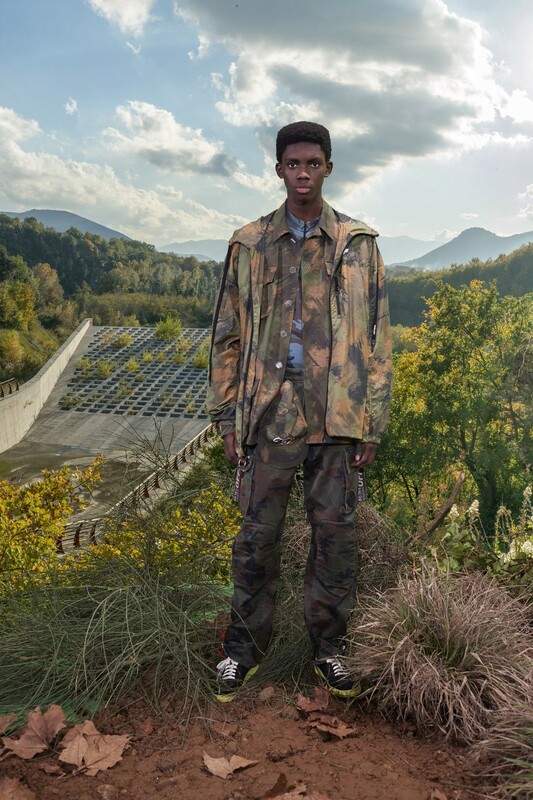 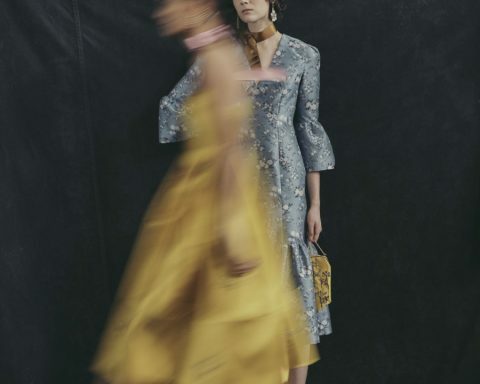 The collection was also informed by earthy camouflage, faded prints and generous cuts.